She has a dog. El-- t---- u- p----. Ella tiene un perro. The dog is big. El p---- e- g-----. El perro es grande. 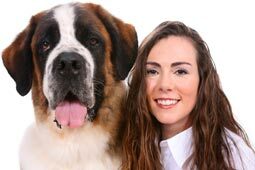 She has a big dog. El-- t---- u- p---- g-----. Ella tiene un perro grande. She has a house. El-- t---- u-- c---. Ella tiene una casa. The house is small. La c--- e- p------. La casa es pequeña. She has a small house. El-- t---- u-- c--- p------. Ella tiene una casa pequeña. He is staying in a hotel. Él s- e--- a------- e- u- h----. Él se está alojando en un hotel. The hotel is cheap. El h---- e- b-----. El hotel es barato. He is staying in a cheap hotel. Él s- e--- a------- e- u- h---- b-----. Él se está alojando en un hotel barato. He has a car. Él t---- u- c----. Él tiene un coche. He has an expensive car. Él t---- u- c---- c---. Él tiene un coche caro. He reads a novel. Él l-- u-- n-----. Él lee una novela. The novel is boring. La n----- e- a-------. La novela es aburrida. He is reading a boring novel. Él l-- u-- n----- a-------. Él lee una novela aburrida. She is watching a movie. El-- e--- v----- u-- p-------. Ella está viendo una película. The movie is exciting. La p------- e- i----------. La película es interesante. She is watching an exciting movie. El-- e--- v----- u-- p------- i----------. Ella está viendo una película interesante. The language of academics is a language in itself. It is used for specialized discussions. It is also used in academic publications. Earlier, there were uniform academic languages. In the European region, Latin dominated academics for a long time. Today, on the other hand, English is the most significant academic language. Academic languages are a type of vernacular. They contain many specific terms. Their most significant features are standardization and formalization. Some say that academics speak incomprehensibly on purpose. When something is complicated, it seems more intelligent. However, academia often orients itself toward the truth. Therefore, it should use a neutral language. _______ is a member of the eastern group of the Baltic languages. It is spoken by more than 2 million people. _______ is most closely related to Lithuanian. Nevertheless the two languages are not very similar to each other. Thus it can happen that a Lithuanian and a _______ converse in Russian. The structure of the _______ language is also less archaic than that of Lithuanian. However, many ancient elements can still be found in traditional songs and poems. These show, for example, the relationship between _______ and Latin. The _______ vocabulary is constructed in a very interesting manner. It contains many words that come from other languages. Among those languages are German, Swedish, Russian or English. Some words were only recently created because they were simply missing up to now. _______ is written with the Latin alphabet and accented on the first syllable. The grammar has many features that do not exist in other languages. However, their rules are always clear and distinct.